Brad Quarberg has worked in higher education institutional relations since graduating from UWL in 1985. Along with many campus committees, he is actively involved in various community and non-profit organizations, along with serving in leadership positions in the Council for Advancement and Support of Education's district five (CASE V), a professional organization for higher education professionals in the Midwest. • Edit and proofread content created by other writers. Quarberg has worked in higher education institutional relations since 1985. Throughout his career, he has been heavily involved with CASE V, the Great Lakes advancement professional organization. He has served on the CASE V Board of Directors and the CASE V Conference Committee for more than a decade, from 1997-2012. He chaired the district conference - the largest in the country - twice, in 2003 and 2004. He was editor of the district's newsletter, Advance, and oversaw the district's print and Web marketing efforts. On campus, Quarberg has served on and chaired a variety of campus committees. He was elected to two three-year terms on the Academic Staff Council, serving as chair for two years. In 2001, he was honored by his peers when he received the Academic Staff Excellence Award, the university's top award to academic staff. Quarberg has been deeply involved in the community. He has served as president of La Crosse's Oktoberfest and president of the La Crosse Valley View Rotary Club. In Rotary International District 6250, he has served as District Secretary, on the District Training Committee, on the District Governors Council and as one of the district’s Assistant Governors. He is a multiple Paul Harris Fellow and received the Lifetime Achievement Award for La Crosse Area Rotary Clubs. Quarberg has also been involved in the La Crosse Area Synod of the Evangelical Lutheran Church in America and his congregation, English Lutheran, in La Crosse; Lutheran Campus Ministry of Wisconsin and Upper Michigan; Great Rivers United Way; La Crosse Area Day with the Milwaukee Brewers; American Red Cross blood drives; Sugar Creek Bible Camp; Boy Scouts of America; Adopt-a-Highway; American Cancer Society; JDRF-La Crosse; Habitat for Humanity; Junior Achievement; Logan High School Band Parents Organization; Logan High School Parents Organization; and a variety of other projects. Among his achievements and honors are: two gold and three bronze national awards in the CASE Circle of Excellence Awards Program for communications projects; Pride of CASE V awards; numerous La Crosse Addy Awards; Oktoberfest Festmaster and President’s Award; and numerous Academic Staff Development grants. He was named the 2016 Maple Leaf Parade Marshal. In 2015, Quarberg was elected to his first term on the Board of Education for the School District of La Crosse. In 2017, the board selected him as treasurer. 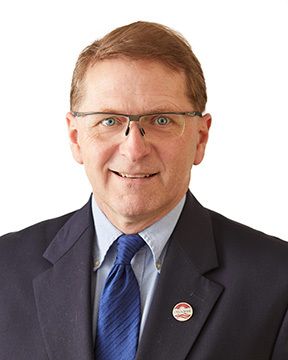 He also serves on the board's Executive Committee and Finance Committee, and is its representative to the La Crosse Public Education Foundation. Quarberg is a proud UW-La Crosse alum and supporter. He lives in La Crosse. He and his wife, Gail, have two children.